Monday, May 22, is the voter registration deadline for the June 13, 2017 primary elections. Eligible Virginians can use the Department of Elections online voter registration system available at vote.virginia.gov to check their registration status, update their information, or to register to vote for the first time. 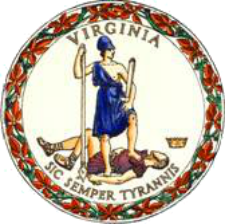 Register on-line at vote.virginia.gov by 11:59 PM on May 22, 2017. Apply in-person at their local voter registration office by 5:00pm on May 22, 2017. Mail a completed voter registration application to their local voter registration office or the Department of Elections with a postmark of May 22, 2017 or earlier. While the Department of Elections encourages the use of online voter registration at vote.virginia.gov, voter registration forms are available at all DMV customer service centers, social service offices, locations that offer hunting and fishing licenses, local voter registration offices, the Department of Elections, and many other public locations such as local libraries.